Hair has the 2nd fastest cell turnover in the body; as such its nutritional needs are great. However, as hair is considered 'nonessential', nutrients will go to main organs such as heart, lung etc. first. Therefore it's especially important to consider nutrients required for healthy hair via supplementation. Soya Protein is a source of essential amino acids, which are the building blocks of Keratin the protein that hair is made of. Protein nutrients are absorbed by the hair follicle during the Anagen (growth) phase of the hair growth cycle. Improvements in hair quality will be visible after 3 months, the results are quicker in nails. Struggle to consume enough protein in their diet. Want to encourage healthy new hair growth. Find their hair won't grow beyond a certain length. Have brittle or breaking nails  Keratin also helps strengthen nails. 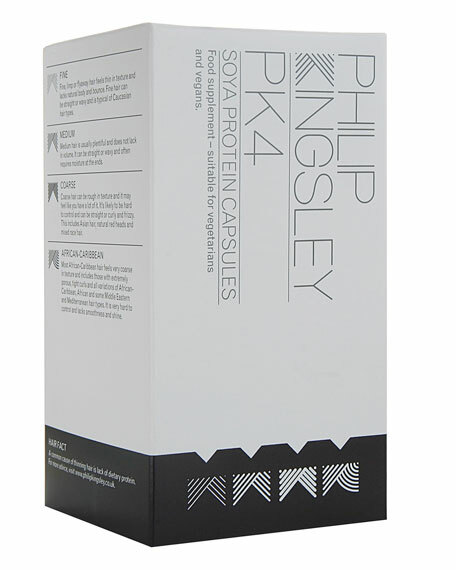 PK4 is most effective when taken in conjunction with a healthy and balanced eating plan. 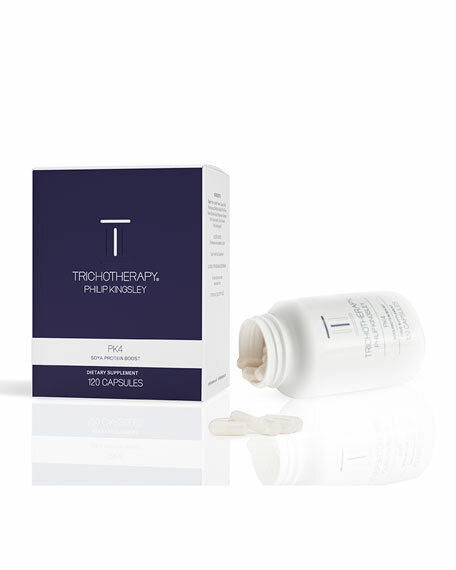 For optimum hair nutrition take in conjunction with Tricho Complex, a vitamin and mineral supplement, to ensure the best possible nutrition for the hair. Take 2 capsules twice daily (4 per day).